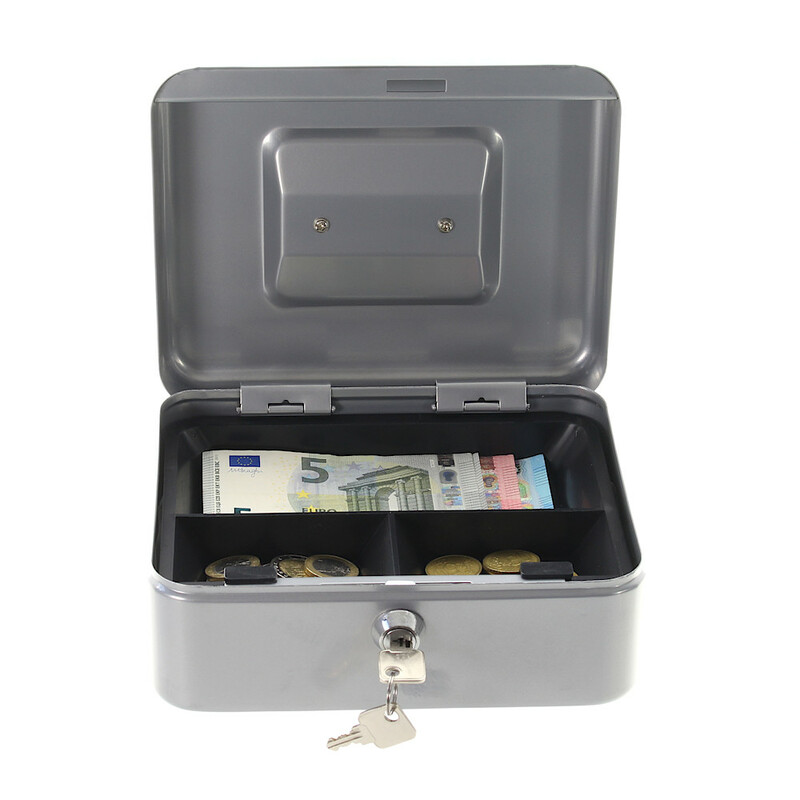 The Rottner Traun Silver Metal Cash Box is perfect for keeping petty cash safe from theft, it's secured by a cylinder key lock which is supplied with 2 keys. The cash box has a notes tray inside allowing coins to be dropped below. The Traun Cash Box is available in 4 different colours.